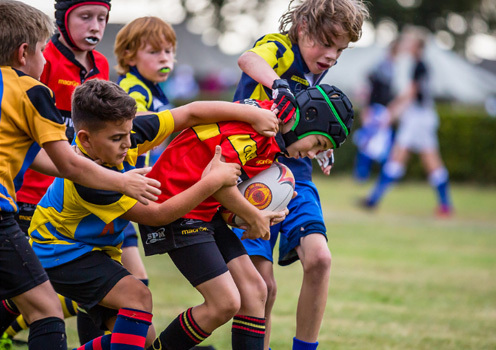 The aim of the tournament is to celebrate the excitement, diversity, joy and excellence that rugby has to offer by bringing together the finest teams from a variety of European countries into a premier tournament setting for all levels. New players and team selections for the coming season can be tested and given a unique experience and the ultimate challenge to be the best. 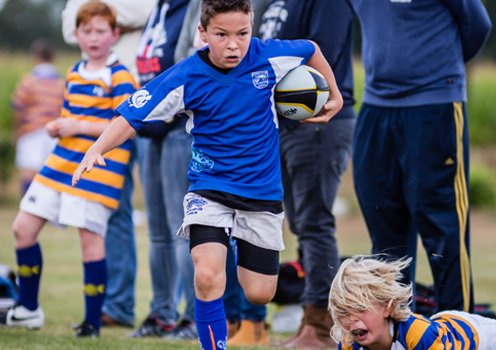 Through the tournament, we hope to promote the sport of rugby and bring the community together in this celebration of rugby excellence. 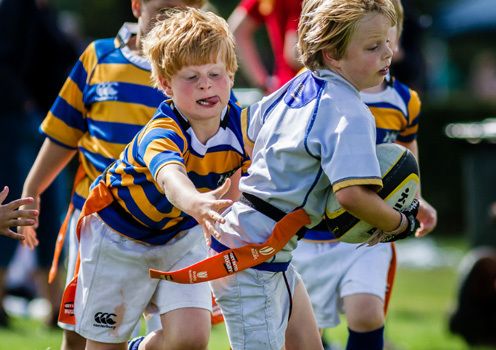 Rugby’s values of Teamwork, Respect, Enjoyment, Discipline and Sportsmanship are what makes the game special for those who enjoy the environment and culture they create. They define the game and define Rugby Club Octopus. Follow the latest news and team registrations via social media. Like our page to stay up to date. We welcome all senior men and womens teams from all countries with a set maximum depending how registration goes. If we reach our maximum available teams we will start with a waiting list. 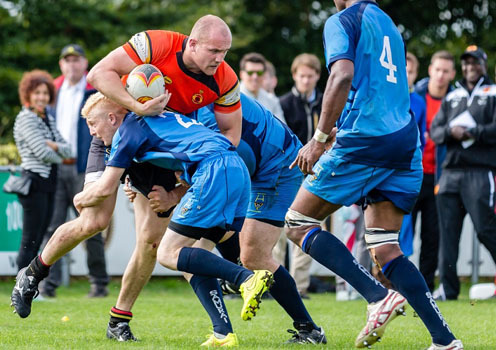 All senior games are played with 15 a-side and all games except the final will be 10 minutes per half with a 1-minute break. The final is 15 minutes per half. The tournament schedules can be followed live with 'MyTournament.info' and this link will be posted the morning of the tournament. We have (limited) tented accomodation for teams to stay in during the weekend. Due to the early start on Saturday we do advice teams to arrive Friday and make the most of our hospitality and pre-party possibly in combination with some light training in the evening. Saturday evening after the bbq we will be hosting a big party with dj's and live music for all players, coaches, referees and locals. Payment of the registration fee guarantees your spot and must be paid after you sign up. All registration fees are non-refundable. Please transfer the registration costs to the following account and do not forget to mention the name of the rugby club and the participating team(s). 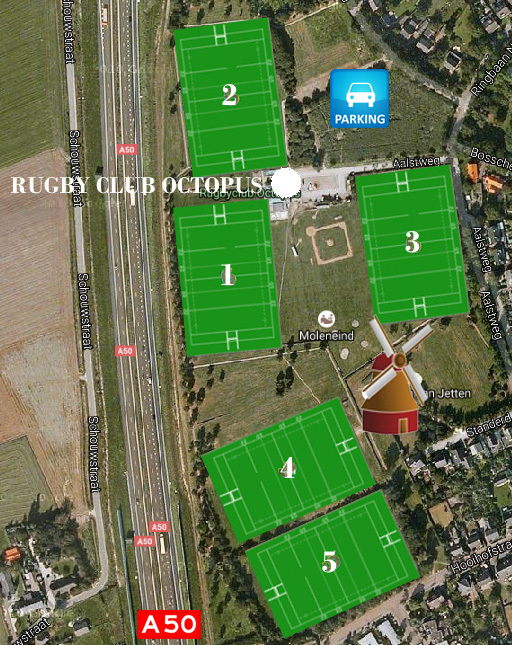 The tournament venue is Sportpark Moleneind in Uden, home base of Rugby Club Octopus. 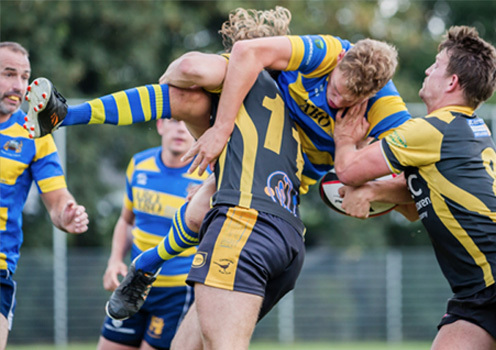 With the full support and cooperation of Uden municipality and the adjacent sport clubs we offer all amenities in close proximity. We have 5 full size natural grass fields and enough space for warm up areas. The tournament site and field numbers will be re-arranged during the youth tournament in order for them to play their normal size pitch. Since we moved the senior men and women to the Saturday we had the opportunity for bringing the community together with all players and coaches in really positive way through an after event party. It gives all visitors the chance to stay the night and have a good time instead of heading home. This party will definitely be a regular feature each year from now on. After the completion of the tournament, the trophy presentations and a top bbq you’ll have a chance to enjoy a pitchside party with local dj's until 00:00 where you’ll have the chance to play a few drinking games as well. Check out the post tournament and pre-party video below. Free entrance and 18+ only.